First up: Molton Brown Bracing silverbirch thermal muscle soak – very woody bath salts that are fantastic if you have sore muscles. They are thermal salts with active extracts of silverbirch which are really soothing – my favourite after my barre class when I’m usually in a lot of pain! 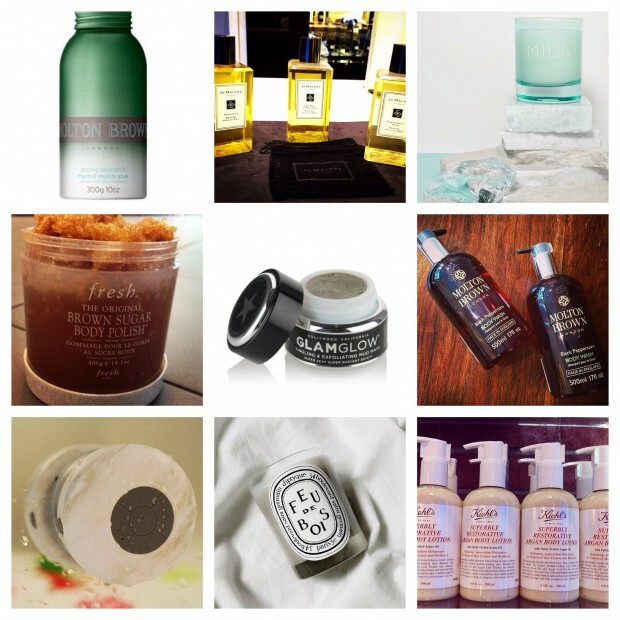 Next – our ultimate favourite bath oils that look too pretty to use! Our favourites are the Lime, Basil and Mandarin, the Pomegranate Noir and the Nutmeg and Ginger – I always prefer spicy to floral but they have so many options. Love the glass bottles for something extra fancy…! What’s the wintery bubble bath without some candles? 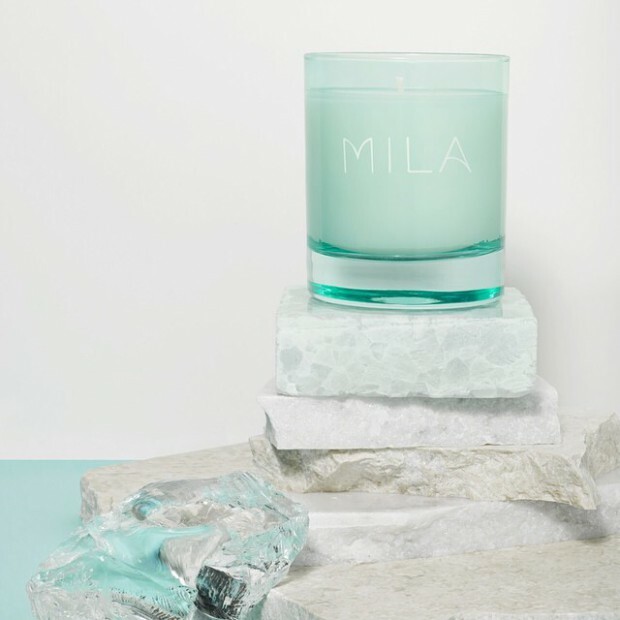 One of our favourites at the moment are the Mila range – love this new one called Isla – it has glacial top notes cut with complimentary scents of of green seaweed, musk and amber so it’s really clean and fresh. 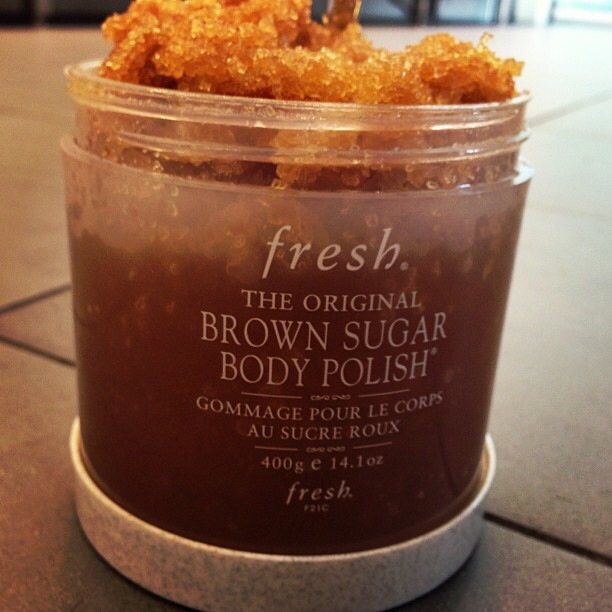 One thing that’s been on our must-have list for a long time – this Brown Sugar body polish by Fresh – it’s so luxurious and is fantastic for turning dry or peeling skin after a holiday smooth and soft. Love the texture and always pick up a tub when we are in America – although they sell on Amazon now! 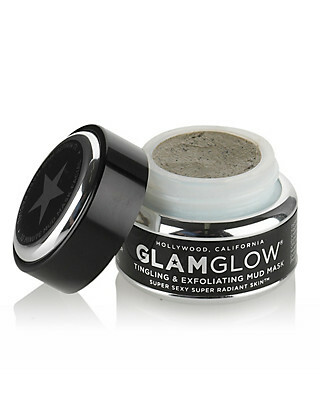 If you fancy a spa-grade facial while you’re in the tub, this is my secret weapon – GlamGlow Tingling and Exfoliating Mud Mask. You will feel it tingling and it doesn’t look particularly attractive but it is the most amazing thing to give you that clean professional facial glow. A few beauty experts told me about it and then I kept seeing it being discussed in magazines – amazing considering it’s not that expensive (a little goes a very long way). Fantastic for giving your skin a good exfoliation and to brighten it up when the cold air and central heating starts to make it dull. 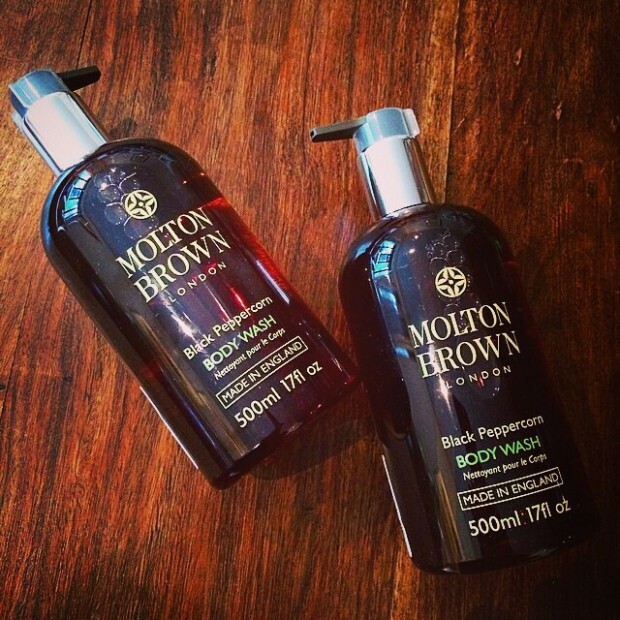 Next is a favourite for shower or bath – again it’s very spicy rather than floral and is unisex: the Black Peppercorn Body Wash – it’s by far our favourite from the Molton Brown range – we buy it in bulk and love the pump lid in the larger bottles – great for energizing in the morning. 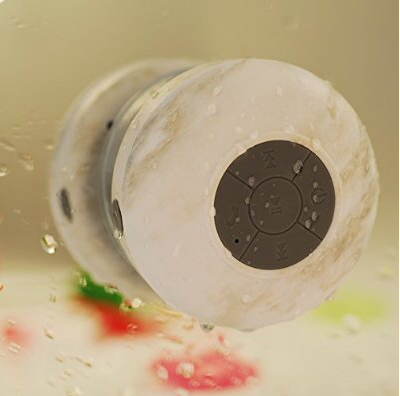 This Bluetooth waterproof speaker is genius – it grips onto the tiles and you can change the tracks and the volume while you’re in the bath even if your phone is at a safe distance away! Love it for paring with our Spotify playlists and it’s so cheap too! Love the granite finish on this one but it comes in loads of colours. 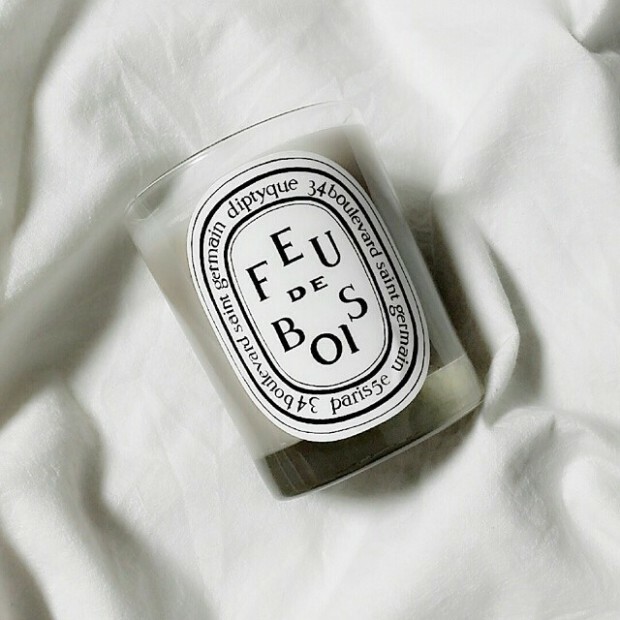 Next is our other favourite fragrance – the Diptyque Feu de Bois candle. It’s the closest you can get to having a roaring wood fire in your bathroom. I did broach the subject once of having a little furnace in the bathroom but didn’t succeed when it came to health and safety! Nothing better than the smell of crackling timber to unwind. 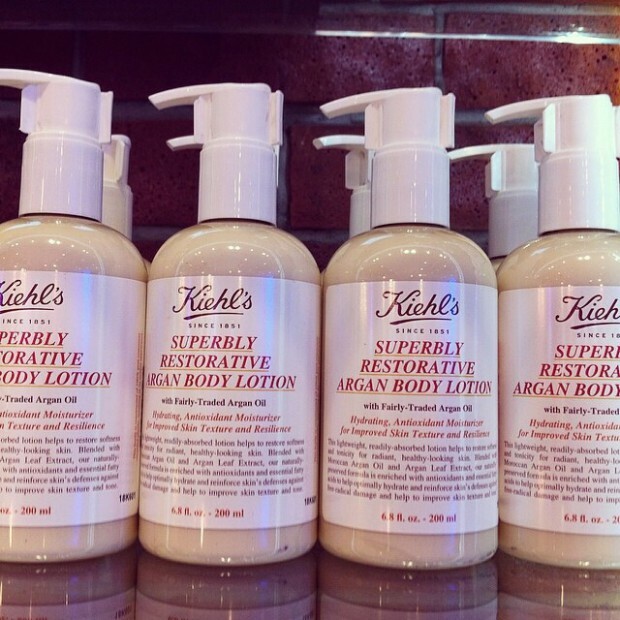 Finally the after- bath care and our current fave is the Kiehls Argan oil body lotion. Having been traditional Creme de Corps devotees for years this is something a bit different. It has a really energising citrus smell and has wonderful healing properties which is perfect for this time of year. This is the post of my dreams, Diptyque is my favourite. We’re so glad you like it! What’s your favourite Diptyque? We love the Feu de Bois & Ambre. Gorgeous winter scents. Violette will always be my favourite however I have always had a soft spot for Figuier, especially in Winter.